Mostly with mottled or striped foliage, flowering later than T. Kaufmanniana. Leaves spreading normally on the ground, mostly strongly undulated (wavy). Flower shape variable. Includes some subspecies, varieties and hybrids which resemble T. Greigii. In flower beds, borders and rock gardens. 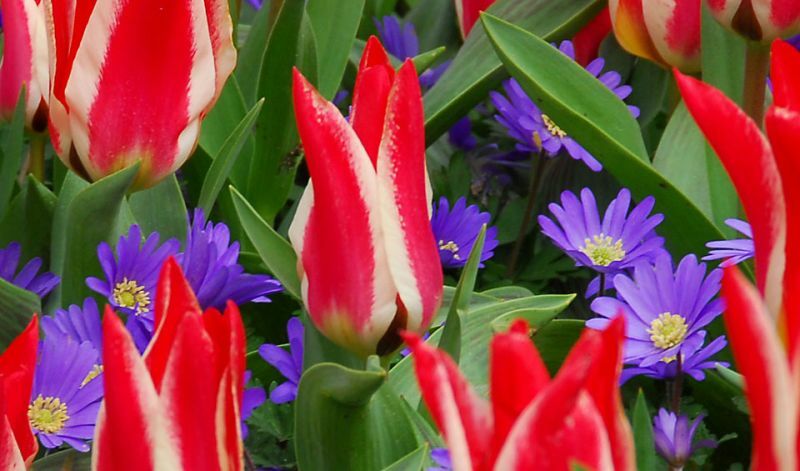 'Cape Cod' (apricot-red, yellow edges), 'Casa Grande' (red), 'Oratorio' (magenta-pink), 'Oriental Beauty' (carmine-red), 'Pinocchio' (scarlet, ivory-white edges), 'Plaisir' (carmine-red, white edges), 'Red Riding Hood' (bright red), 'Sweet Lady' (salmon-pink) and 'Toronto' (pink).